Crafted from vegetable tanned Tuscan leather, our scorecard holder offers stylish protection for your scorecard and golf documents. We've incorporated a wooden pencil and elasticated pencil holder. Each scorecard holder is meticulously and skilfully made to order, using a mix of traditional craftsmanship and modern personalisation techniques. 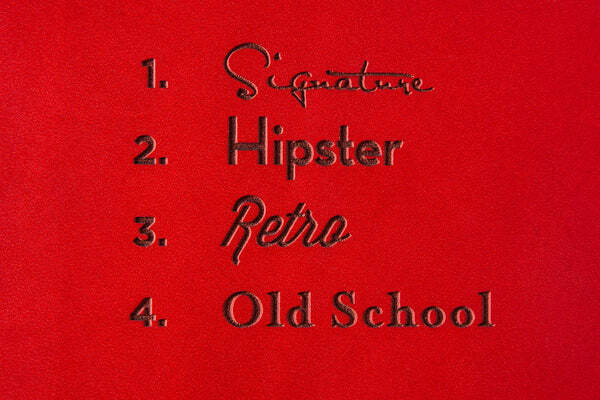 Our leather goods age gracefully over time acquiring a warm patina with use. Personalization is free. 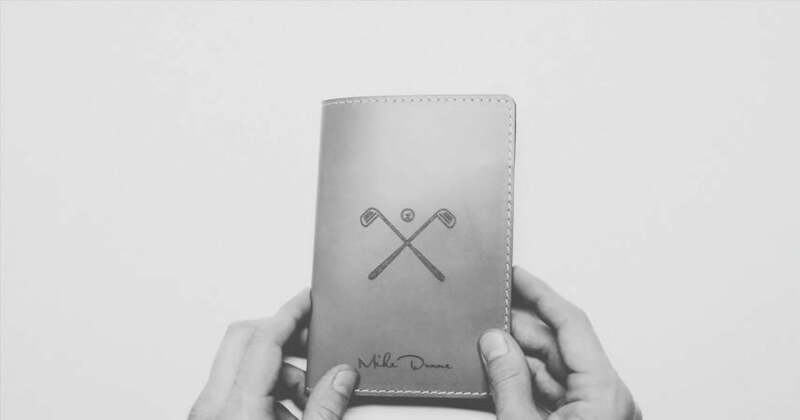 To have your scorecard holder personalized with your initials, name, or custom text, select a font from the drop-down menu and add your custom text in the box provided. Should you wish to submit your own Logo or Artwork, place the order and email us the image file along with your order number here. We've designed our scorecard holders to house 14.5cm x 20cm golf scorecards. Custom sizes are available on request.